1. 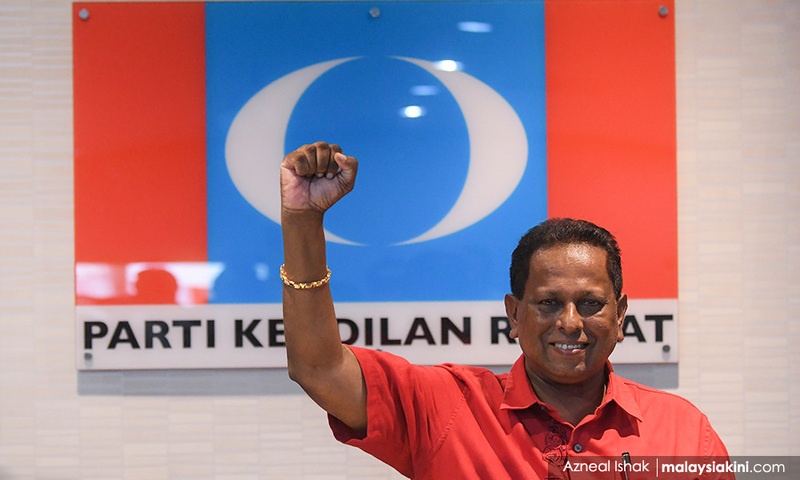 PKR has announced Dr S Streram as the party’s candidate for the Rantau by-election, giving him a second chance at the seat after his first bid was foiled when he was wrongly barred from entering the nomination centre. 2. The Yang di-Pertuan Agong has called for the cultivation of genuine racial ties, rather than having mere slogans. 3. Amid criticism that the government is not doing enough to curb child marriage, Deputy Women, Family and Community Development Minister Hannah Yeoh outlined the challenges it faces in imposing a ban on the practice. 4. The crash of an Ethiopian Airlines Boeing 737 Max 8 aircraft prompted concerns about the jet’s safety record, including among airlines based in Malaysia. 5. Home Minister Muhyiddin Yassin said the Women’s March last Saturday did not have a permit, but Lawyers for Liberty advisor N Surendran said no such permit is required. 6. Communications and Multimedia Minister Gobind Singh Deo said his ministry is considering taking action against news portal operators who allow their readers to leave comments that touch on racial, religious and royal sensitivities. 7. DAP’s parliamentary research office highlighted flaws in a recent study on racial discrimination in the private sector job market. The Centre for Governance and Political Study (Cent-GPS) then issued a statement addressing some of the issues raised. 8. Siti Aisyah, an Indonesian national accused of murdering Kim Jong-nam, the half-brother of North Korean leader Kim Jong-un, was granted a discharge not amounting to acquittal and returned to her home country. 9. Energy, Science, Technology, Environment and Climate Change Minister Yeo Bee Yin and IOI Properties Group Bhd CEO Lee Yeow Seng have tied the knot. 10. BN will propose Wanita Umno chief Noraini Ahmad as the new Public Accounts Committee chairperson, announced Arau MP Shahidan Kassim.